STROUDSBURG, Pa USA. — Every day, a joyful man in dung-covered boots tries to balance the world's karma by dishing out love, compassion, and the occasional fried Indian delight to his ragtag herd of cows. PIC: RICH SCHULTZ - Sankar Sastri at his farm in Stroudsburg, Pa. Sastri, a former professor at City College of New York, bought the farm in the Poconos to use it as a cow sanctuary. 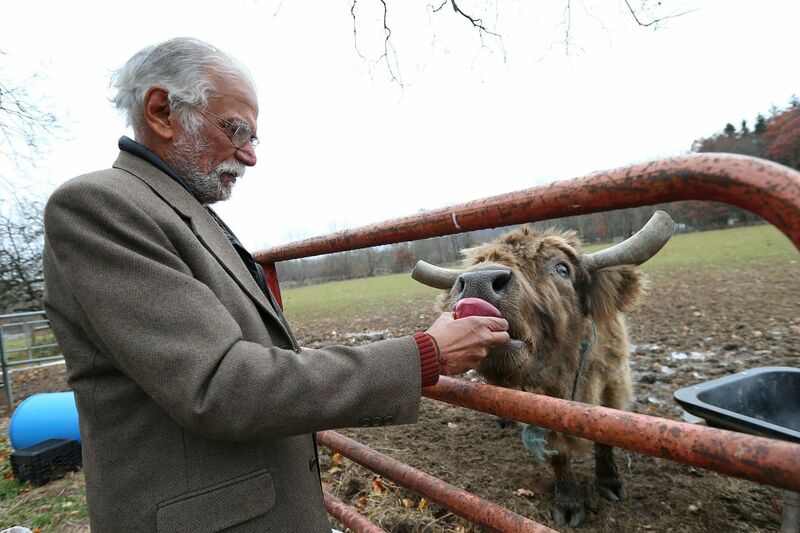 Sastri, 78, is wiry, bespectacled, and constantly smiling, and wears a blazer over his farm clothes while he walks around his 90-acre Lakshmi Cow Sanctuary in Monroe County. Sastri still resembles a college professor, albeit one who fell in the mud. 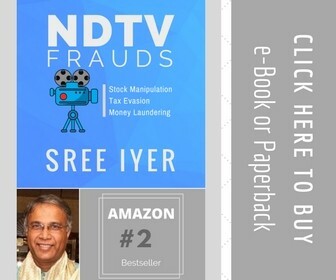 He grew up in Chidambaram, by the Bay of Bengal in Southern India, moved to the United States in 1964 for grad school, and spent 28 years teaching engineering at New York City College of Technology in Brooklyn. As the millennium approached, however, Sastri, a devout Hindu, began to ponder his next life and wonder if he'd done enough good deeds. He wasn't just thinking about a life after retirement. "The Hindu philosophy says whatever karma you have done in the past, in this life, follows you," he explained. "You and I, this is not the first time we are meeting. We have met many times in trillions of years in this universe." 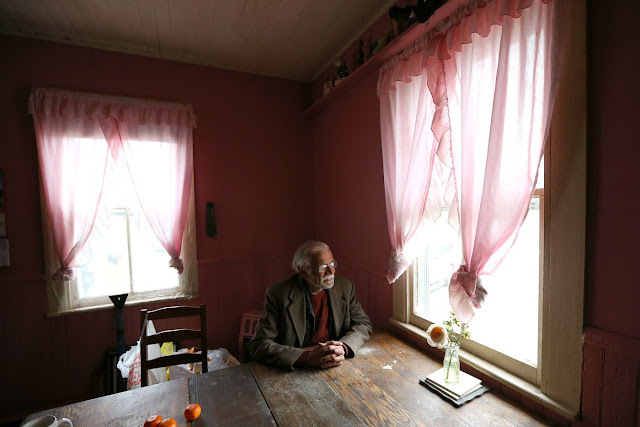 Sastri decided in 2000 that saving cows was his way forward and traded a Brooklyn brownstone and academic life for pickup trucks on life support and a farm in Northampton County, and eventually a 90-acre spread in Jackson Township, Monroe County, with a ramshackle farmhouse. The goal of the Lakshmi Cow Sanctuary, a nonprofit, is to save cows destined for the slaughterhouse, but Sastri has also taken in animals other kindhearted people had kept as pets. Sri, the Scottish cow, came from an elderly widow who'd been diagnosed with cancer. "If you look at all the living beings in this world, the most loving and compassionate animal is the cow," Sastri said. "They give and give and give." 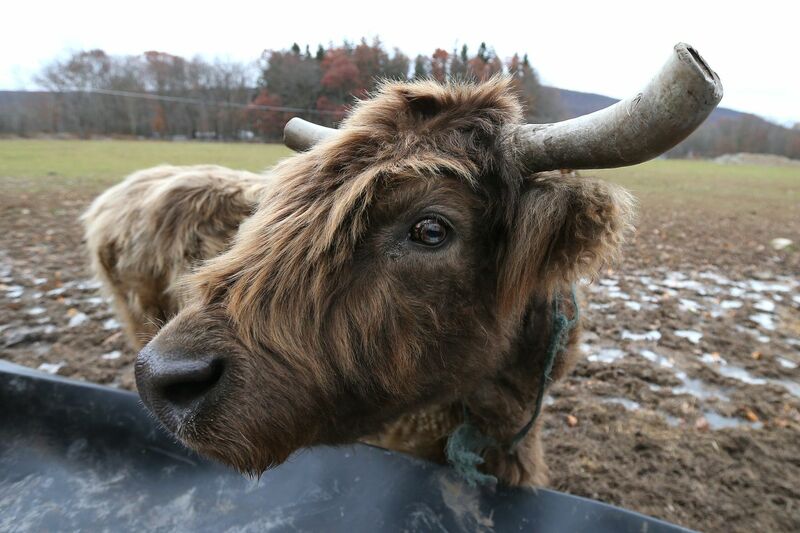 RICH SCHULTZ - Sri, a cow at Lakshmi Cow Sanctuary in the Poconos. Sastri sells his herd's dung patties for $6.50 a pound, as a fuel source for religious ceremonies. He said he manages to operate on about $1,000 a week but would like to bring in more so he can hire more help. He lets people who are down on their luck live in his farmhouse in exchange for labor. "Right now. we're really at the limit of how many cows we can take in," he said. Sastri gets visitors, mostly "Hindus, vegans, and animal lovers," but also the occasional Poconos tourist from a ski resort on the other side of the mountain behind his farm. One Hindu woman was coming from Albany, N.Y., to "feed the cows," a common prescription for all of life's ailments, Sastri said. He tells them to bring pakora, a fried dough, as a treat. "Sometimes, you go and feed the cows, and you whisper your problems in their ears and they get better," he said. Cows are sacred in the Hindu religion, not a food source. In 2016, two Tannersville residents left a severed cow's head on his property. Police initially investigated the incident as a hate crime, but Sastri said some people, including the two suspects, were mostly just mad he had blocked off access to old ATV trails on his property. The duo apologized to Sastri, and he claims he hasn't had issues since then. "I went to court and I didn't say anything, and they got probation," he said. 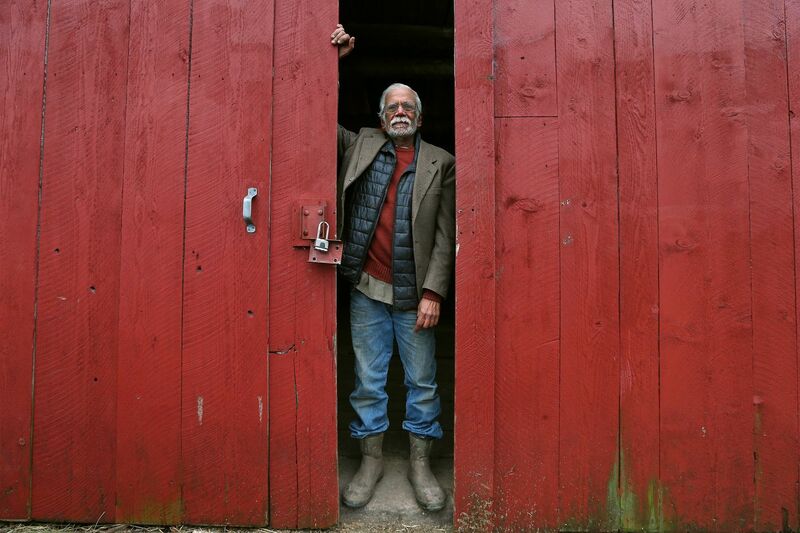 Sankar Sastri at his farm in Jackson Township. “Hindus, vegans and animal lovers” visit the farm and the cows, Sastri said. All the cows follow Sastri's every move while he walks beyond the fence, and not just because he tosses them apples. They know they are safe here, he said, and loved. One black and white cow, named Maruti, runs to him like a horse. "I gave him that name after a monkey god in India, and he runs like him," Sastri says, laughing at the connection. "He's a real runner. Maruti!" Sastri speaks to his cows daily, calling out their names and praising their beauty. "Look at her eyes, they are beautiful," he said to Sri. But he also talks about real estate, the weather, really whatever's on his mind. They've taught him much more than he imagined, out in the mud and mountains and in his old, red book-filled barn. "They accept the way of life," he said in the barn as cows downstairs mooed. "We are called human beings, you know, but we just don't be. We are always becoming. 'I want to become a doctor. I want to become rich.' We just don't be. Cows, they just are, no matter what it is."